Darlington Dragway played host the second to last stop of the 2018 PDRA Season with the Fall Nationals. 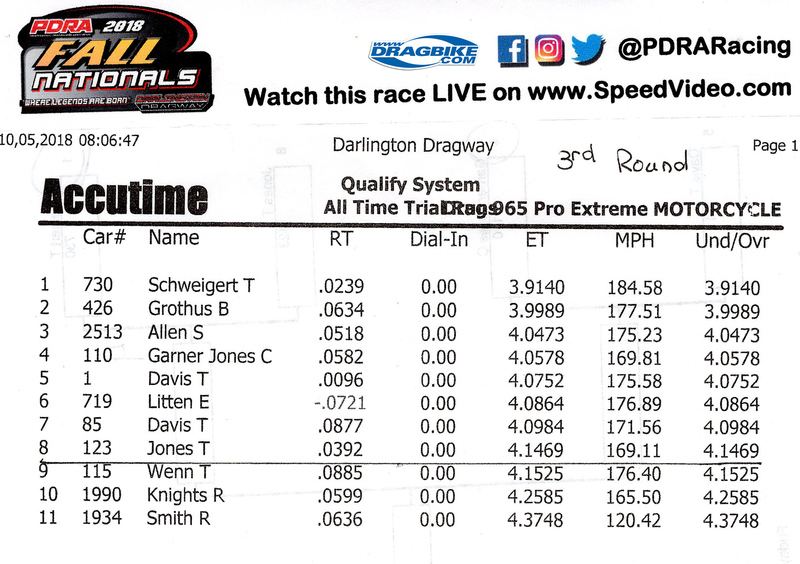 The turbocharged entry of Terry Schweigert qualified number one with a3.914 at 184.58 and then backed it up backed up with a 3.942 at 181.09 setting a new Pro Extreme motorcycle record! Unfortunately for the Canadian rider, he turned on the red light in round two against Ehren Litten to end his weekend. Brunson Grothus qualified No. 2 with a career-best 3.998 and then took out points leader Ronnie Smith and Travis Davis to meet Spencer Allen in the final. Allen took out Ricardo Knights, Chris Garner-Jones and Ehren Litten to make it to the final. 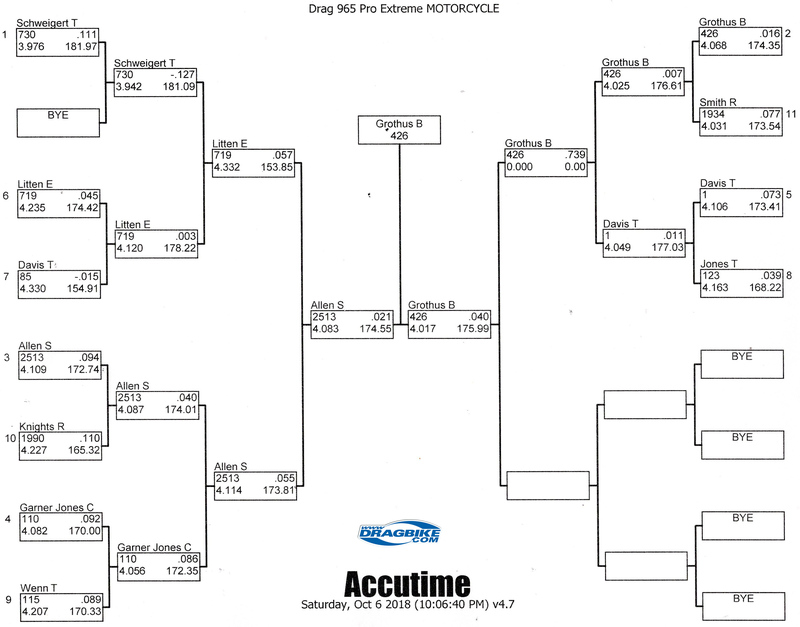 In the final round, Grothus ran a 4.016 at 175.99 on his Indocil Art Suzuki to defeated Allen’s 4.082 at 174.55. The very last event of the PDRA 2018 Million Dollar Season is set to bring down the house at Virginia Motorsports Park, Oct 18 – 21. With the event extended to include an extra day this year, PDRA Series and VMP Track owner Tommy Franklin talks about the 2018 World Finals.